The RE-1 black and white camera system will add video surveillance to the top quality RE-1 telephone entry system. This camera is continuously powered by the RE-1. 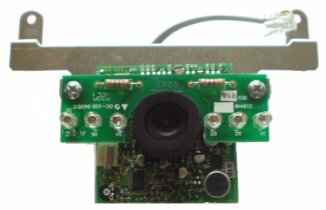 The camera’s infrared light emitters illuminate the area directly in front of the entry system for nighttime or low light operation. 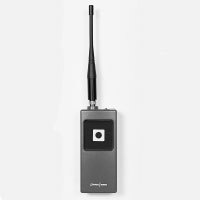 Greatly enhances the capability of the RE-1 telephone entry system. Package consists of a compact black/white camera that installs neatly behind the unit’s darkened lens for an unobtrusive, non-intimidating appearance. Infrared illuminators are provided to ensure clear images in low light conditions. 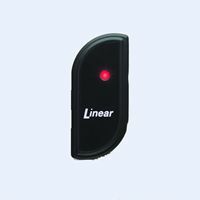 Linear can furnish dealers/installers with a CATV multiplexer so they can offer a complete, integrated monitoring solution.